It is an all too common scenario, a person hires an investment firm or broker and follows their stock broker's recommendations, trusting this broker's expertise with their life savings or a substantial amount of money. Unfortunately, the stocks that the broker selected have plummeted, the brokerage firm's CEO is all over the news defending his company against allegations of securities fraud, and the life savings of numerous investors are lost. Unfortunately, tens of thousands of investors have been a victim of broker and financial planner fraud and negligence. These losses can sometimes be recovered through Texas Lost Investment Lawsuits or Bounty Actions. 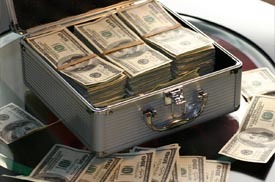 If you have lost your life savings or a large amount of money through misappropriation of funds by a broker including broker fraud, broker negligence, careless investment advice, deceptive investment advice, inadequate risk warnings, churning, or other unethical broker wrongful acts, feel free to submit an inquiry or send an e-mail to Texas broker fraud lawyer Jason Coomer. He may be able to help you recover your losses or at least obtain an accounting of the investments. Broker Fraud, Insider Trading, and Investment Fraud can be the basis of a Whistleblower Reward Bounty Action. Investment is the driving force of a business economy and allows a pooling of money and resources which businesses can use to invest in large capital ventures. Early stock markets through investment in the United States helped build the railroads and develop the United States. Since early development of the stock markets, periods of wide spread fraud, investor panics, and government regulation have led to many reforms that now protect investors from fraudulent practices. However, with new technology, market fluctuations, and some dishonest or desperate brokers, have come new and different types of investment fraud. A stock broker sells or buys stock on behalf of a customer. The stock broker works as an agent matching up stock buyers and sellers. A transaction on a stock exchange must be made between two members of the exchange — a non stock broker may not walk into the New York Stock Exchange and ask to trade stock. Such an exchange must be done through a broker. A broker does not need a college degree, but most brokers have one. Brokers, however, do have to be licensed. A license is obtained by passing the General Securities Registered Representative Examination and, in many cases, posting a bond. Individuals may take this test after they have been employed by a brokerage firm for four months. Texas requires dealers and investment advisers to take the Uniform Securities Agents State Law Examination and pass with a passing score of at least 70%. Recent decisions by the Securities and Exchange Commission (SEC) imposed over $1.4 billion in penalties on several top investment banks, brokerage firms, and brokers. As such, it is apparent that you cannot always trust brokers to give you the complete picture regarding stocks, bonds, and other securities. If you feel that your investment dealer or adviser has not been honest and has caused you to suffer significant investment losses, your best bet to recover your losses from investment fraud or securities fraud losses is to speak to an experienced broker fraud lawyer regarding your stock fraud concerns. Stock brokers are paid commissions for the transactions they generate, which can encourage some stock brokers to trade excessively or churn stocks for the purpose of generating commissions instead of working for their client's investment goals. Churning is essentially a form of excessive trading for the purpose of generating commissions for the broker's benefit. In addition to actually trading stocks for their clients, stock brokers may also offer advice to their clients on which stocks, mutual funds, etc. to buy. This can be problematic if the broker encourages an investor to purchase unsuitable investments or misrepresents the risk or potential pay out of an investment. It also can be problematic when a broker encourages the purchase of unsuitable securities including variable annuities, variable universal life policies, or viaticals. This is especially true if the broker is encouraging investment with funds that will be need for retirement. Brokers are required to gain authority or permission from their clients before they conduct any transaction on the client's behalf. When brokers act without their client's consent, this is considered unauthorized trading. If your broker is buying or selling stocks on your behalf without your permission, or you believe that any of the other above abuses have been committed, feel free to contact Texas broker fraud lawyer, Jason Coomer for an investigation of a broker fraud claim. If your retirement savings or other securities investments have suffered substantial losses, generally fifty percent (50%) or more, due to mismanagement, mishandling or misconduct on the part of your broker or financial professional, then you may want to speak to Jason Coomer a Texas investment fraud lawyer to determine if your broker has committed fraud or negligence that has contributed to your losses. Unfortunately, with the pooling of large amounts of money in pension funds, retirement funds, stocks, mutual funds, bonds, derivatives, commercial real estate, and other investments comes the danger of fraudulent investment scams and broker negligence that can take a person's life savings. If you have lost your life savings or a large some of money through misappropriation of funds, please feel free to submit an inquiry or send an e-mail to Texas broker fraud lawyer Jason Coomer. He may be able to help you recover your losses or at least obtain an accounting of the investments. Austin broker fraud Attorney, Jason Coomer helps investors that have lost money through wrongful acts of majority shareholders, corporate officers, and brokers. He reviews investment strategies, accounting records, corporate actions, and investor trading; negotiates settlements; and if necessary files claims against negligent or fraudulent brokers. 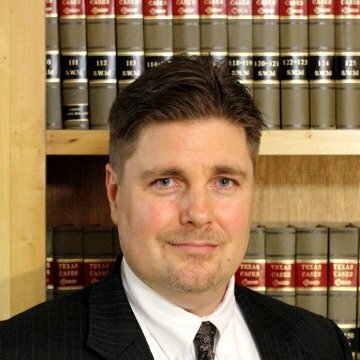 Austin Texas Business Lawyer, Jason Coomer is an experienced business litigation attorney that handles investment fraud, shareholder actions, commercial real estate law, computer law, ponzi scheme claims, and other business litigation. His office frequently works with other professionals including Houston Investment Fraud Lawyers, Dallas Broker Fraud Lawyers, San Antonio Investment Fraud Lawyers, and other Austin Investment Fraud Lawyers to provide high end professional legal services at reasonable prices. Texas broker fraud lawyer, Jason S. Coomer, helps business investors protect their assets and negotiate with negligent brokers and brokers that have committed investment fraud. If you need an Austin Texas Broker Fraud attorney or an Austin broker negligence lawyer to advise you on a Texas investment fraud claim, contact Austin Texas investment fraud lawyer Jason Coomer.